The indie development scene would not be what it is today without Limbo. 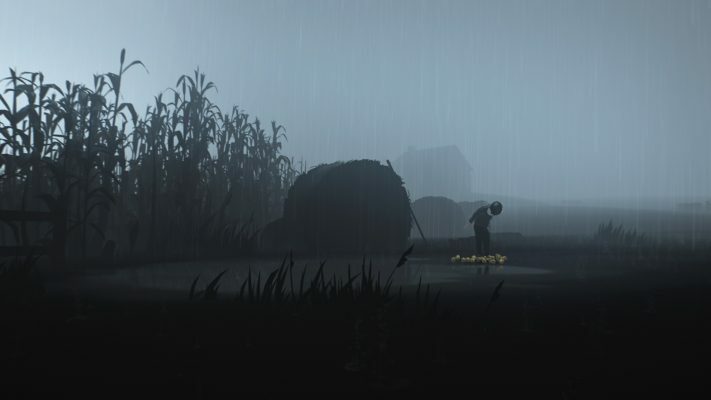 The atmospheric debut title from Danish developer Playdead wasn’t the first independent darling, it’s not the best indie game of all time and there are valid criticisms that can be thrown its way. 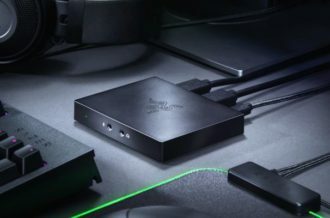 With that said, when Limbo first hit the Xbox 360 in 2010, it was unlike anything else out on the market and gamers far and wide flocked to the black-and-white puzzle-platformer because it was such a staunch departure from the brown bro-shooters that were flooding the AAA space at the time. Six years later, Playdead’s second game, Inside, is finally complete, and after playing through its three-to-four hour campaign, it’s a joy to report that not only was the wait worth it, but it’s a major step up from Limbo in every sense. Let’s first address the elephant in the room: yes, Inside is very similar to Limbo when taken at face value. 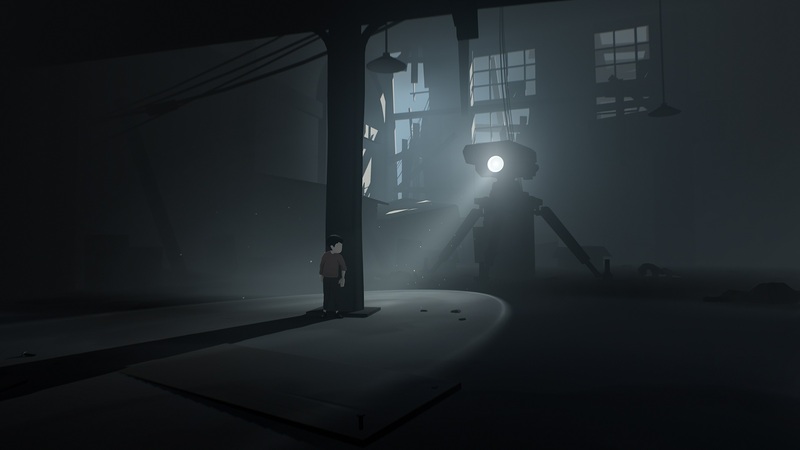 Players take the role of a small boy who runs, jumps and solves environmental puzzles in a bleak, mysterious setting. Player deaths are shocking, with their gruesome and shocking nature contrasting heavily with the quiet aesthetic they take place in. Finally, Playdead tells the entire story without a single word of spoken or written dialogue. Despite similarities to its predecessor, though, Inside manages to combine some of the most intuitive puzzle design that we’ve seen in years with a disturbing corporate industrial aesthetic that feels exponentially more chilling than the forest that Limbo is set in. Make no mistake, despite its similarities to Playdead’s first title, the fact that Inside finds a way to feel better in every way imaginable makes this the furthest thing from a mere rehash. 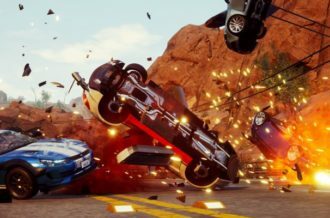 Considering that sequels rule the gaming industry, the idea that the core mechanics and ideals can be improved upon in such a tangible fashion make Inside feel equal parts familiar and fresh. To call it “Limbo on Steroids,” while logical, feels too simple. Inside is more like Limbo on black tar heroin. It’s worth noting right off of the back that this review will avoid anything that can even be considered a spoiler at any point. Inside wouldn’t be half of the masterpiece that it is without its subtle way of teaching the player new mechanics or allowing them to read into its environmental storytelling. 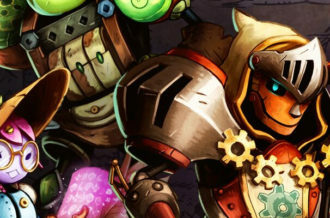 Granted, there’s really no way to review a game without hitting on some specifics, but if you’re looking for an in-depth look at how certain puzzle mechanics work or insight into the mysteries afoot in this world, then you’ve come to the right place. 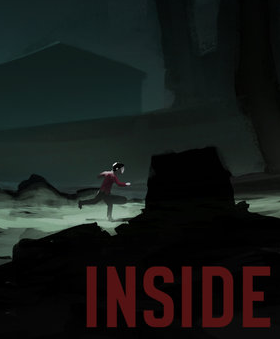 Keeping the mystery is imperative in any game, but it feels undeniably essential in Inside. Inside begins with the player character running through a wooded area with no instructions and no explanation. Any semblance of narration here would ruin what is an overwhelmingly tense scene, as flashlight-wielding guards and lethal dogs are constantly attempting to hunt you down and kill you. One of the biggest issues with modern games is how explicitly they spell out character motivations, thus forgoing any trust in the player to determine exactly what’s going on. Of course, most games end up having a major twist two-thirds of the way through, and this standard storytelling process generally eliminates any sense of true shock value. Inside handles this in a completely different fashion, building a world that is equal parts haunting and mysterious and leaving the player to attempt to learn more about the world through intuition and careful background examination. If you’re looking for a title that explicitly spells out every tiny detail, then this is absolutely not the game for you. With that said, there are a couple of dramatic turns in the back half of the campaign, but there’s a fair amount of introspection and thought necessary to piece together exactly what’s going on. 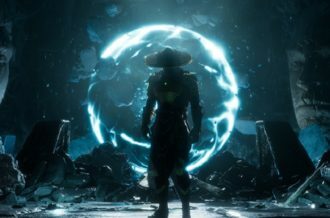 Because the entire story is told through the environment and atmosphere, every player death, tense moment and shocking scene feels infinitely more impactful. Rarely, if ever, do 2D games feel genuinely terrifying, but Inside finds a way to fill players with unease from beginning to end. Oh, and speaking of endings, this one seriously goes some places. Let’s just leave it at that. It’s tough to dive into Inside‘s world without entering spoiler territory, considering that environmental storytelling is so critical to the experience as a whole, but there are some basic elements that are worth touching upon. Compared to Limbo, where everything takes place within a woodland environment, Inside sports a pretty shocking amount of environmental variation. 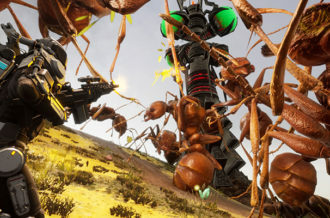 While the vast majority of the three-to-four hour campaign takes place within a bizarre factory conducting mind-control experiments, the player character wanders through a forest, a farm, underwater and through an office space, among other areas. Early promotional materials made Inside seem like it would simply be Limbo in an office, this couldn’t be farther from the truth. Add this to the aforementioned human experimentation, and it’s as clear as the day is long that there’s a far deeper narrative here than in Limbo. Slumped-over humans controlled by a force that largely remains unseen are constantly shown throughout the world, and aside from this being a pretty obvious commentary on the state of corporate slavery, the dichotomy between people with no control over their bodies and a boy searching for answers is harrowing. There’s a growing sense that something is very very wrong with this society, and as you progress, the desire for answers almost turns into a looming villain in it of itself. Aside from its fascinating world and chilling atmosphere, Inside has some of the best puzzle design seen in a 2D game in years. There’s nothing more frustrating in a puzzle-platformer than getting stuck on a given puzzle because the developers did a poor job of communicating mechanics and interactive elements, so to play a game that blends challenge and intuition so elegantly is an exercise in pure gaming bliss. Players have the ability to run, jump and grab onto objects, and every interaction with the environment builds off of these mechanics in some fashion. Easily the best puzzles involve mind-control helmets, which give players the ability to control various zombie-like humans scattered throughout the world. Because controlling these corporate drones utilizes the same control mechanics as manipulating the player character himself does, these puzzles are ridden with the type of aha moments that draw players to puzzle games in the first place. Subtle tweaks to the core logic of this world appear more and more often as the campaign progresses, with later puzzles playing with perspective and gravity in some pretty unique ways. Explaining any one mechanic in too much depth will completely sap players of the discovery that is so key to forward momentum, especially when you consider that challenging players without stalling them is what makes Playdead’s second game so special in the first place. Inside is definitely not as difficult as, say, The Witness, but that doesn’t mean that it’s any less satisfying. There’s something to be said about the subtle communication that Playdead put into every one of Inside‘s puzzles, as every action (and subsequent reaction) subtly teaches the player something new. Limbo remains one of the best looking games of last generation, with its haunting grayscale aesthetic remaining iconic even today. As crazy as it might sound, Inside is an even better looking game than its predecessor. While its player character lacks a characteristic as iconic as the eyes of Limbo‘s protagonist, the lighting effects and perspective shifts in Inside range from beautiful to awe-inspiring. No 2.5D game in recent memory plays with the player’s perception of foreground and background quite like this, and it becomes even more impressive when you consider that there’s never a moment where you have to wonder which plane a given object is on. 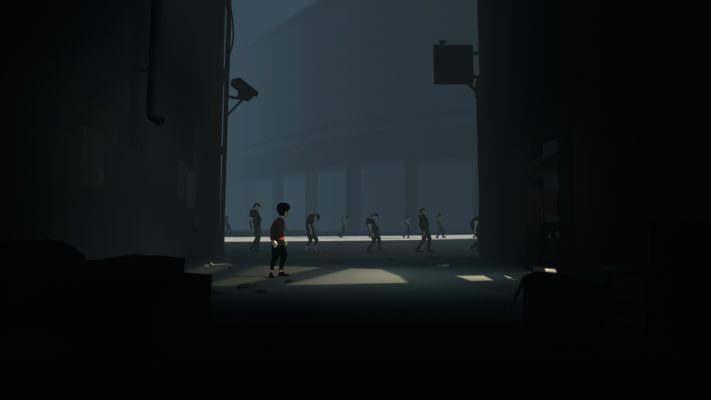 Inside‘s general aesthetic is as bleak and dark as one would expect from a Playdead game, and this makes the subtle uses of color on buttons, the main character’s shirt and other aspects of the environment stand out even more. AAA games should take notice: this is how to do lighting and shadows in a modern video game. Add this to some downright impressive animation tech, which makes something as mundane as opening a latch look awesome, and it’s clear that Inside is a bona fide looker. 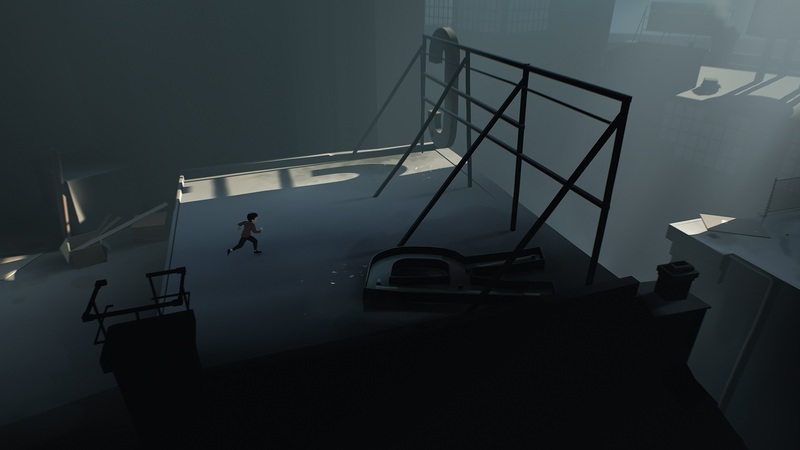 Inside isn’t just some incremental improvement over the basic premise of Limbo, it’s one of the best puzzle-platformers ever made. From its brilliant puzzle design, which finds a way to balance constant progress and momentum with puzzles that require deep thought, to its gorgeous lighting effects, this is the type of game that demonstrates why the indie development scene is something special. Inside is also a testament to the power of trusting players to interpret a story in their own way, as its general sense of mystery and chilling atmosphere would be completely nullified if there was some sort of blatantly telegraphed narrative. Playdead’s second game finds a way to be equal parts chilling and horrifying without ever explicitly resorting to rote horror tropes. It’s the type of game that will keep you on the edge of your seat and cause you to think and ponder long after the credits roll. If you have even a passing interest in Inside, do yourself a favor and pick it up, as it’s now one of the Xbox One’s best games, plain and simple.